Haidar Zango is following in the footsteps of his father as a singer and actor. Kannywood actor and singer, Adam Zango, has signed his eldest son Haidar Zango, to his own musical record label, White House Family Records. 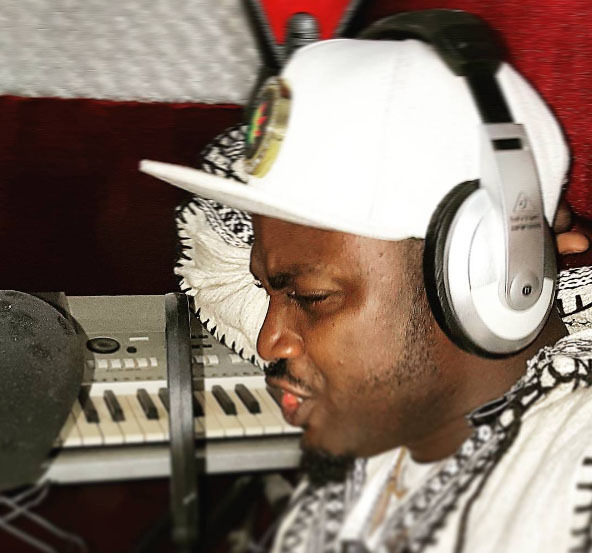 The 11-year-old singer has concluded recording his first album, says Mr Zango, on his Instagram page. Pictures of the new star dotted the Instagram pages of kannywood celebrities, many of which are wishing the young musician a good reign. Hassana Dalhat, an entertainment promoter who spoke to PREMIUM TIMES in Kaduna, applauded the foresight of Adam Zango, but also advised that schooling should be his priority for the child. “It is a good idea that Haidar is introduced in to the entertainment industry. He was featured in one film ‘Ummi’ some years back. I will advise that he makes giving the child good education, a priority. “Adam has always said he did not get western education and (is) not happy when people correct his postings on Instagram. He should not allow that happen to his son. While he build on his music, he should also encourage Haidar get good education,” Hassana said. PREMIUM TIMES has also learnt that the debut album consists of three songs; Godiya, Rayuwa and Taken Over, which was sang in English language. The album will soon be released.